March 21st is a day to remember and reflect on the fact that unfortunately, racism is still part of our society. Unions share an important role and responsibility to continue building a society free of racism. 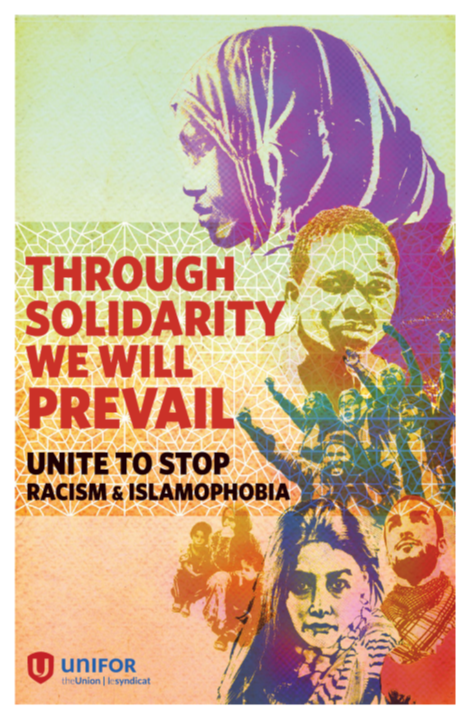 Unifor National Council 4000 is committed to working with all its members and Locals to eliminate racism from within the Union, our workplaces and within our communities. Every person is entitled to human rights without discrimination. March 21st is the day to recognize workers of colour, aboriginal workers and the many activists who have carried on the struggle to eliminate racial discrimination. Events will be held across Canada and around the globe on this important day. The United Nations recognizes the International Day for the Elimination of Racial Discrimination. Click here to read the UN's theme for the 2017 International Day for the Elimination of Racial Discrimination; 'Racial profiling and incitement to hatred, including in the context of migration'. 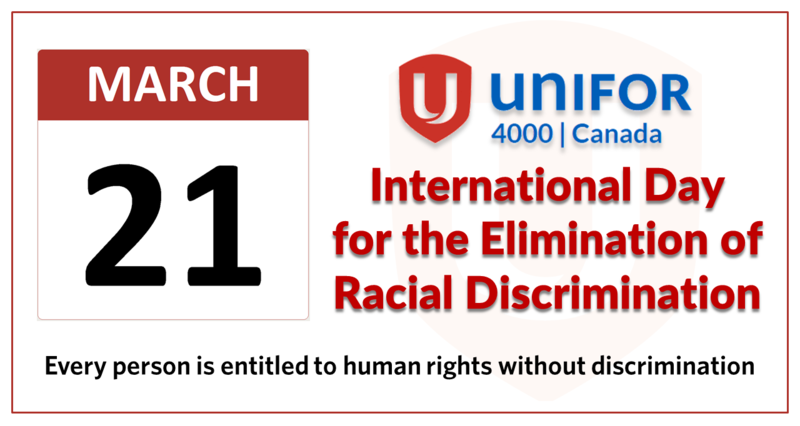 Click here to read Unifor's Statement on the International Day for the Elimination of Racial Discrimination​. Unifor's annual Aboriginal and Workers of Colour Conference takes place May 5-7, 2017 at the Unifor Family Education Centre in Port Elgin, Ontario. This conference is open to members who are Indigenous and/or workers of colour and will provide participants with the tools to fight for substantive equality and for political, economic and social justice.